It was a big week for 23-year-old Chris Norton. 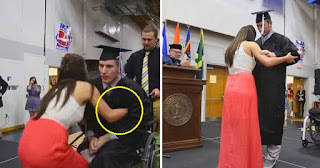 Not only did he propose to his girlfriend, but he accomplished his goal of walking across the stage to receive his diploma at graduation, after being told the chances of him ever walking again were slim. 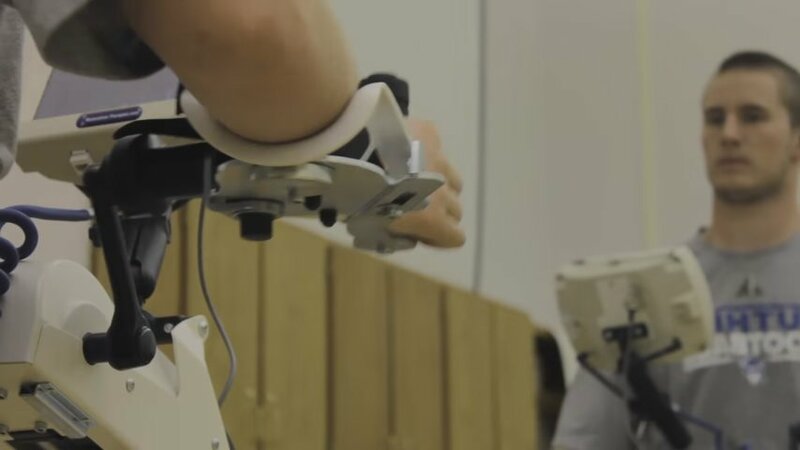 Chris suffered a severe spinal injury during a football game back in 2010 with doctors giving him a 3% chance of regaining any movement below his neck. 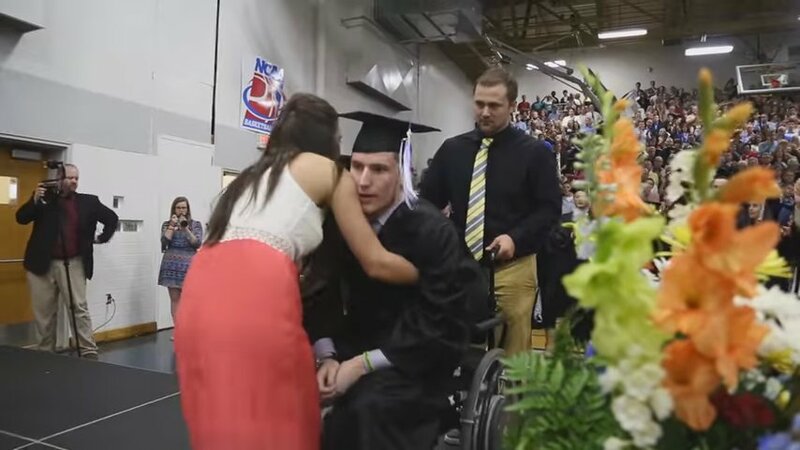 A little over a year ago he set himself the goal of walking across the graduation stage, and has been working extremely hard in rehab to make that happen. “I really want to show everyone how far I’ve come and just that you can set big goals for yourself and you’ve just got to go out there and make it happen”, Chris said. 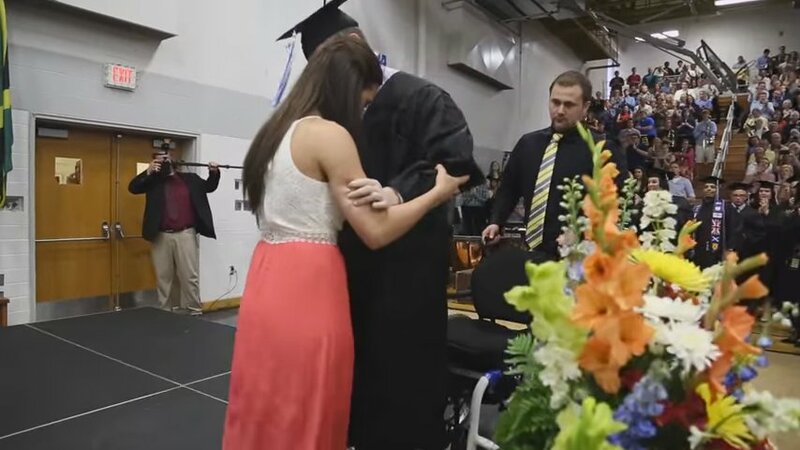 On that important day of his life, with the help of his now fiance Emily, Chris smashed that goal. “I’m more thankful and appreciative of things now than I was before my injury. You realise how precious even the slightest movement is and that independence you can get and the people around you”, Chris says. 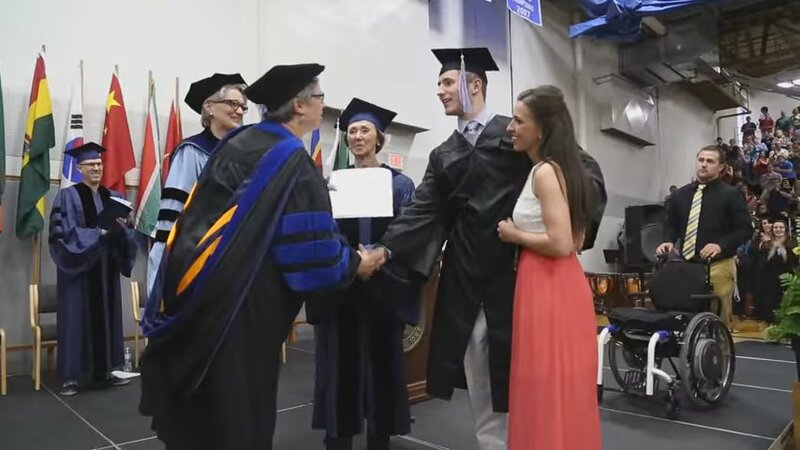 The auditorium at Luther College’s Decorah campus erupted into cheers and applause as Chris carefully made his away across the stage, all the while with Emily holding on tight. Is this not the most heartwarming thing you’ve seen? “I didn’t think it’d be so emotional. The energy in the room was really unbelievable, and it meant everything to have (Emily) there with me”, Chris said. For Chris, this is just one chapter in his life that has closed and he says that there is plenty more he wants to accomplish. “I want to continue and improve my walking, my therapy, my independence. That will always be a goal of mine”.